NOTE:3 My/Our Packs are compatible with all patches..If you use Switchers & have problems with any packs ask the makers of the switchers not myself or Paul..We take no responsibility for switchers/modules that we have not made. 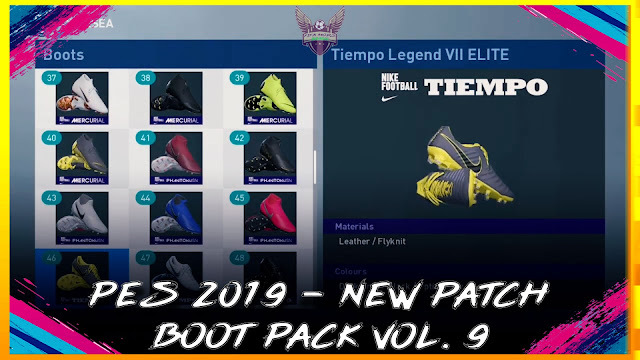 Download PES 2019 | BOOTS PACK VOL. 9 (100 BOOTS). This is a mod for Pro Evolution Soccer 2019 video game.